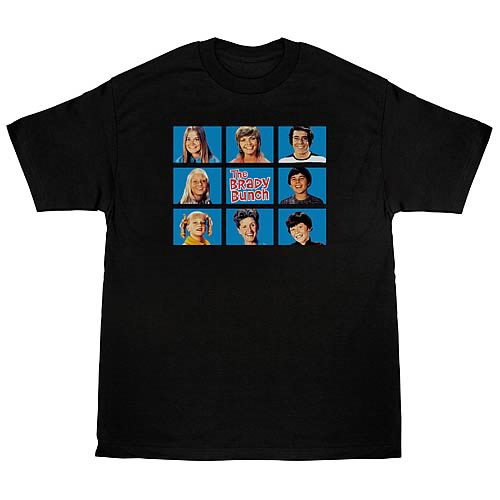 The Brady Bunch Cast Squares T-Shirt. Celebrate the iconic opening credits to a TV classic with this 100% cotton, high-quality, pre-shrunk black t-shirt. Machine washable. Order yours today!